Celebrating 22 years of bringing the community together in the spirit of fundraising and fun! 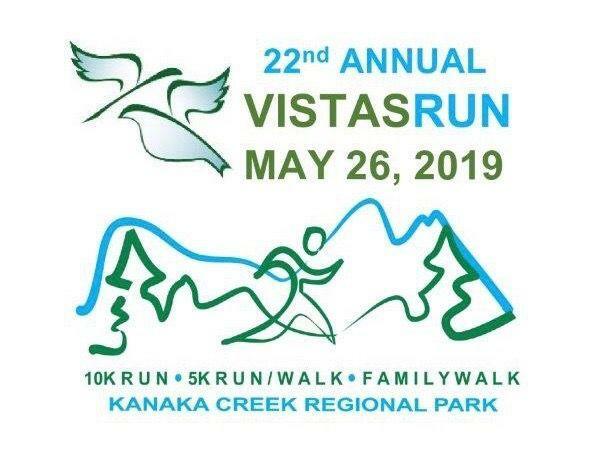 The Vistas Run is the single largest fundraiser for the Ridge Meadows Hospice Society. Proceeds provide emotional, compassionate and companion support for individuals with a life-limiting illness or those who are coping with the death of a loved one. EARLY BIRD REGISTRATION IS $35. PRE - RACE REGISTRATION: $40. NO ONLINE REGISTRATIONS DAY OF EVENT. PLEASE NOTE THAT T-SHIRT SALES WILL BE AVAILABLE UNTIL MAY 12TH AT 11:59 PM.